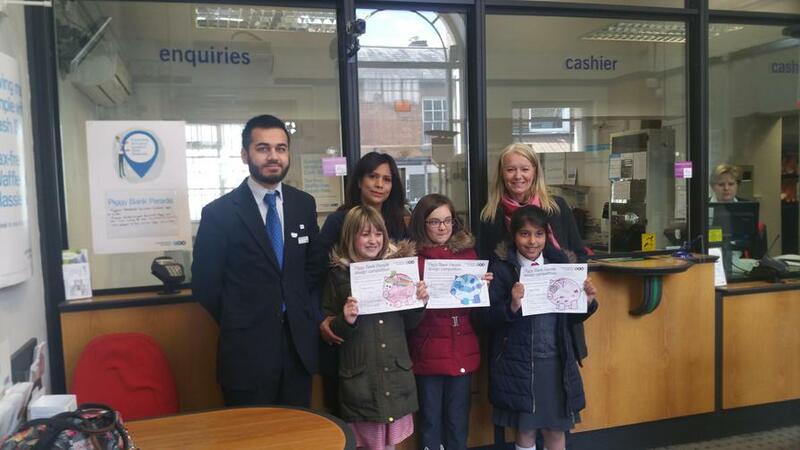 Yesterday I had the pleasure of attending the prize giving for the Piggy Bank Competition, at TSB in Great Missenden. As previously reported, we had 3 winners; Samaa Abdulrazaq in 3B, Harriet Sweetman in 5L and George Bradley in 5B. The competition was in aid of Chiltern MS Centre. The children all came away with hand made piggy banks in their design and other prizes. Well done to all involved and thanks to Mrs Greene and her Mindful Colouring Club.